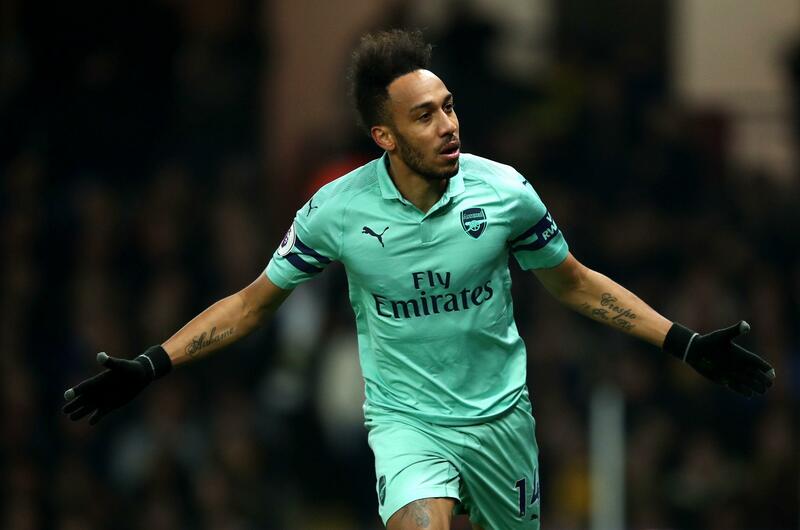 A Ben Foster howler and a useless Troy Deeney red card helped Arsenal climb back into the top four of the Premier League with victory at Watford. Goalkeeper Foster gifted the Gunners the only goal after 10 minutes. He took too long on the ball after collecting a back pass. It allowed Pierre-Emerick Aubameyang to charge down his clearance and deflect the ball in. Just a minute later, Watford captain Deeney was sent off for throwing his forearm into the face of Arsenal midfielder Lucas Torreira. However, that was a late challenge. Despite playing with 10 people for 80 minutes, Watford offered the far greater threat. The initial was kicking the bar through Adam Masina’s powerful drive from distance in the second half. They forced Arsenal goalkeeper Bernd Leno into a number of excellent saves. The German refused Craig Cathcart well with his feet shortly after Deeney’s red card. Later in the first half dived at full stretch to tip away Etienne Capoue’s goalbound free-kick. Ainsley Maitland-Niles also performed a crucial block with 10 minutes remaining when he slipped in to block Andre Gray’s shot after the Watford striker had whirled Leno. The visitors’ only real chance came halfway through the second half. Foster cleverly spread himself to block Henrikh Mkhitaryan’s volley from close range. The Gunners were well below they are conforming. However, the rare away win might prove crucial in the race to qualify for next season’s Champions League. They rise two places to fourth in the table, two points clear of Manchester United and ahead of Chelsea on goal difference.